There are hundreds of fun things to do in Philadelphia besides stuff yourself with cheesesteak sandwiches and make like Rocky on the Museum of Art's legendary stone steps. Philly, as it is affectionately known to locals, is Pennsylvania's largest city. 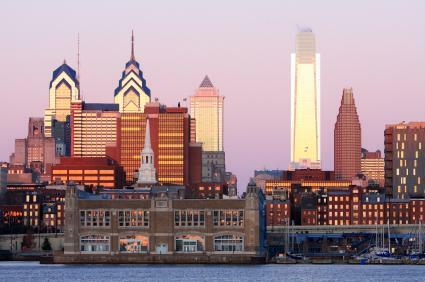 Philadelphia was the U.S. capital from 1790 to 1800 while Washington, D.C., was under construction, and to this day it remains one of the most historically rich regions in all of North America. "The City of Brotherly Love" is home to the Declaration of Independence and it was where the Constitution was penned, revised and signed. With its outstanding array of historic sites, awe-inspiring natural wonders and fabulous family-friendly attractions, Philadelphia is a traveler's dream destination. If you are looking for fun things to do in Philadelphia, you won't have to hunt long or far. The city is filled with exciting and educational events and attractions that will thrill travelers of all ages. Philly offers history buffs a cornucopia of intriguing venues, including world-famous Independence Mall. The massive park-like area is the site of numerous festivals, musical performances, and other special events. However, its main attractions are the historical buildings that call the Mall home, including Independence Hall, the Liberty Bell Pavilion and the architecturally stunning National Constitution Center. In addition, beginning December 15, 2010, Independence Hall will become the new home of "The President's House." The highly anticipated addition will give visitors a chance to get up close and personal with structural components of the home where Presidents Washington and Adams lived during their terms. Guests will also see where nine slaves served the first president and learn more about the history of slavery in the United States. Philadelphia's Museum of Art boasts some of the nation's top exhibits; however, visitors can have just as much fun touring the city's Kimmel Center for the Performing Arts. The modern, state-of-the-art, red-brick structure is famous for its cello-shaped performance hall and a 150-foot vaulted glass roof. The rooftop garden is also a must-see and provides breathtaking views of the "Rebel Capital" in all its glory. Art lovers visiting Philly in the summer of 2011 won't want to miss the new outdoor Lights of Liberty show which features awesome 3-D technology. The guided walking tour and light show is designed to illuminate Philadelphia's historic buildings and transform them into dazzlingly lit recreations. In addition to the high-tech illuminating wizardry, the show incorporates surround sound in an effort to transport guests back to the early 18th century. Philadelphia is a wonderland for sports fans. When you've had your fill watching the Eagles, Phillies, Flyers and 76ers play at home, then head to The Legendary Blue Horizon. The historic gym and boxing club is where parts of "Rocky V" were filmed. The venue re-opened in 2002 and still hosts some of the most exciting match-ups in the city. On fight nights, Philly native Joe Frazier can often be seen mingling with prizefighters. The club also houses a small museum, which tells the story of the legendary building and the boxers who went on to become legends. A trip to Philly is not complete without a stop at the uber popular Philadelphia Zoo. Opened in 1874, it is the oldest zoo in the United States and is home to some of the most exotic animals on the planet. Kids of all ages will have fun making friends with the zoo's 1,500 furry, scaly and hairy residents, from playful sea otters to gigantic giraffes. Children can also ride on a camel's back or take a tour of the zoo on a monorail. The aforementioned attractions in Philadelphia are just a sampling of the fun you can have in "The City of Brotherly Love." For a compete list of fun and exciting things to do in Philadelphia, consider visiting the Greater Philadelphia Chamber of Commerce's website.